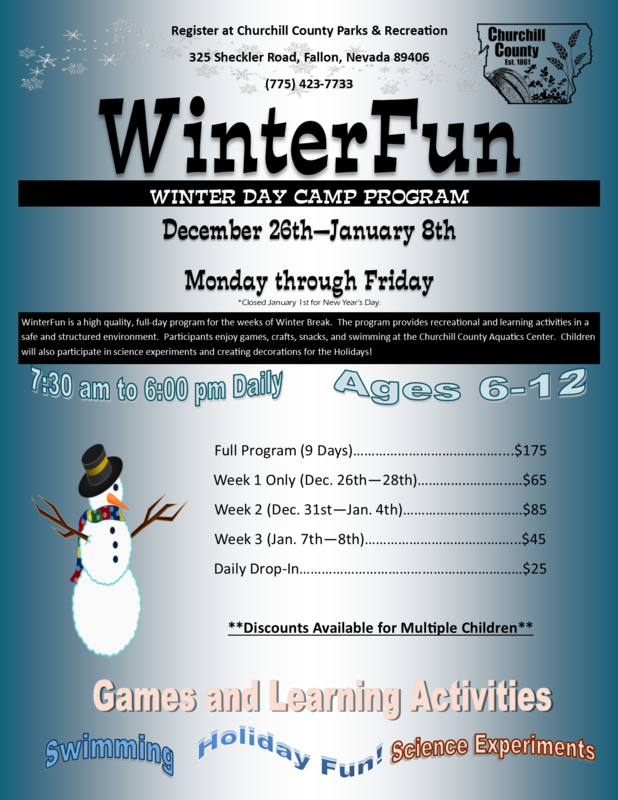 The WinterFun Day camp offers a fun, educational, and engaging option for parents searching for youth activities during Winter Break. WinteFun is a high quality, full-day program for that provides recreational and learning activities in a safe and structured environment. Participants enjoy games, crafts, snacks, and swimming at the Churchill County Aquatics Center. Children will also participate in science experiments and creating decorations for the Holidays! Full Program is $150.00 and includes Weeks 1 and 2 - Students return to school on Monday, January 7th, 2019! 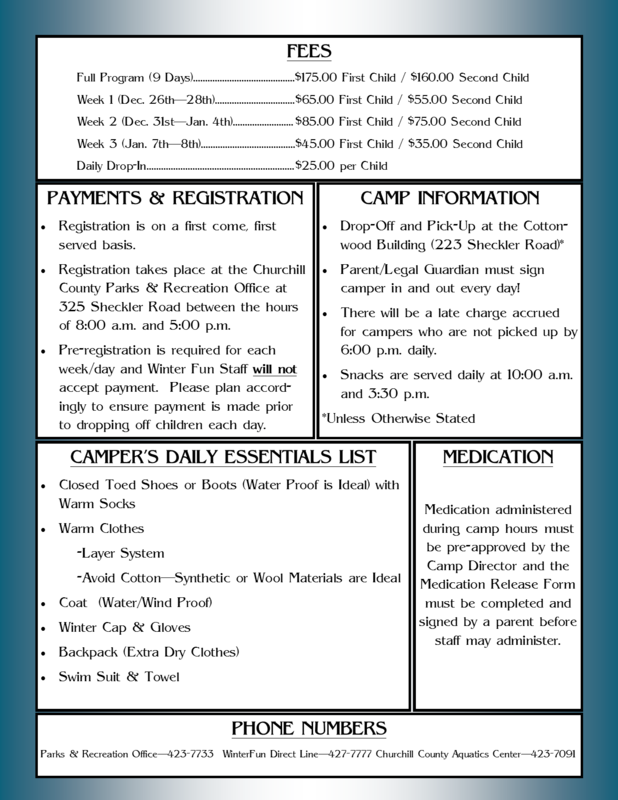 Download the Program Information Sheet here!